"We think it’s important for Trustus, a non-profit that is supported and funded by the community, to give back to the community." Jasper loves art for art's sake and we love new art -- so you know we're going to be excited about what Trustus has cooked up for next weekend -- a FREE 24 hour theatre festival. What a joy to see a non-profit arts organization that, like all of us, could really use a little more cash in their lives, say - hey - let's get a bunch of playwrights, directors, and actors together and throw a festival just for the hell of it and, just to spread the love around a bit more, let's open up the theatre and make it free to whoever can legally fit into the joint. In other words, let's do what we love because we love it and that's it. No applications, no guidelines, no submission fees, no goddamned bureaucracy allowed. Thirty-five artists writing, directing, and performing because they just can't help themselves. Here's what Trustus artistic director Chad Henderson had to say when we questioned him about the festival. Jasper: How did you choose the participating playwrights and directors? Henderson: As we approached revisiting this fun event, we knew we wanted to engage playwrights from the community. Each of these writers is constantly writing and creating narratives. Folks in Columbia may know them in different ways, but it will be a great chance to introduce some new voices in local playwriting as well let folks learn something new about local theatre artists who are usually participating in the theatre in other ways. For example, Paul Kaufmann is known around town as a wonderful actor, but he’s also a creative writer. Robbie Robertson is known for screenplays and commercials, but he’s also penned local comedies and wrote the book for a musical that’s been workshopped in NYC. Tangie Beaty is a prolific Columbia playwright who produces her work with her popular company – WOW productions. 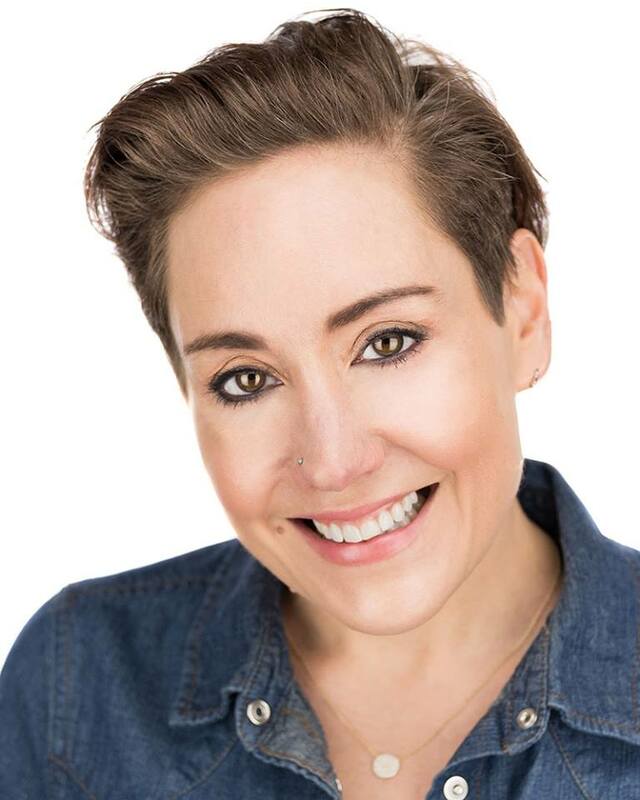 Trinessa Dubas is a passionate theatre artist who recently self-produced her script “The T—y Diaries.” Charlie Finesilver is constantly writing and in the past few years he’s been getting his work produced at Manhattan Repertory Theatre in NYC. As for directors, we wanted a mix of directors who work at Trustus and who work elsewhere in the community. Our directors this year are Jonathan Monk (who will be directing our season opener, SILENCE! ), Martha Kelly (who will be directing MOTHERHOOD OUT LOUD in the spring at Trustus), Robin Gottlieb (who’s directing a revival of 5 LESBIANS EATING A QUICHE this spring), Jocelyn Sanders (who’s directed a lot of work at Trustus and who’s been directing great productions at Workshop Theatre), and Ginny Ives (who’s studied under Dewey Scott-Wiley and is making her Trustus debut – she’s also currently in Memphis). Jasper: Who are some of the actors we can look forward to seeing? Henderson: We’ve got a great group of actors who are convening for FEST 24. They’re familiar faces from the Trustus Company as well as some folks who have been seen on other stages in Columbia. Among them are some of your favorites like Jennifer Hill, Krista Forster, Freddie Powers, Samuel Hetler, Amy Brower Lown, Christine Hellman, Jared Rogers-Martin, Mahogany Collins, Jon Whit McClinton, Mary Miles, Brittany Hammock, Russel Sanders, Trell Brennan, Kevin Bush, and the multi-talented Chris Cockrell. Jasper: How does this project benefit the theatre community and theatre patrons? Henderson: Creating theatre is a process that usually takes place over 2-3 months in markets our size. Production teams meticulously make creative decisions that are intended to tell the story with the utmost clarity. Actors have weeks to create their performances and find connections. And playwrights…? Well playwrights can often take as long as they want to get their story on paper. So, with a 24-hour theatre project like this, the entire theatre-making process is crammed into 24 glorious hours of intense goal-setting. What’s great about events like these is that it is a moment of elevated trust and collaboration. Artists are often working with new co-collaborators, and it’s a rush to the finish line without having months to develop creative relationships. Patrons who attend festivals like this are often sitting on pins and needles, just like the artists involved. They know that everything is completely new, under rehearsed, and that anything can happen during the performance. Everyone is gathered under the theatre’s roof for something new. If you ask me, the feeling is really special. Jasper: Why did you decide to make this a free event? Henderson: The major reason we wanted to make this a free event is because everyone who’s working on it is volunteering. This event is focused on community and creativity, so we didn’t want there to be a barrier to keep the community from experiencing it. We think it’s important for Trustus, a Non-profit that is supported and funded by the community, to give back to the community. While seating is limited, 45 people will have the chance to experience Fest 24. We suggest getting to the Side Door Theatre early. First come, first served. We hope that we’ll have a packed theatre, and incentive to do the event annually. Jasper: Will the bar be open? Henderson: We will indeed have the Side Door bar selling beer, wine, and our regular concessions during the event!